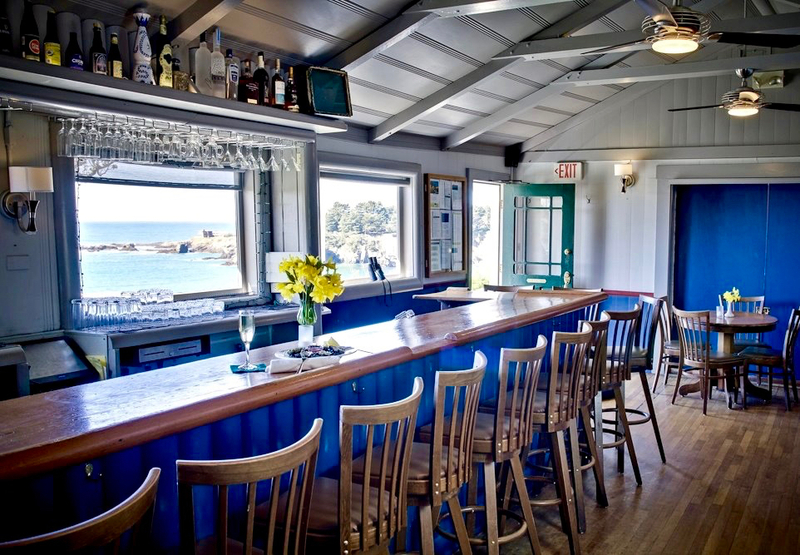 Nick's Cove: Start south in in Marin County, along Highway 1, where Nick's Cove has been serving up fresh seafood and craft cocktails since the 1930s. 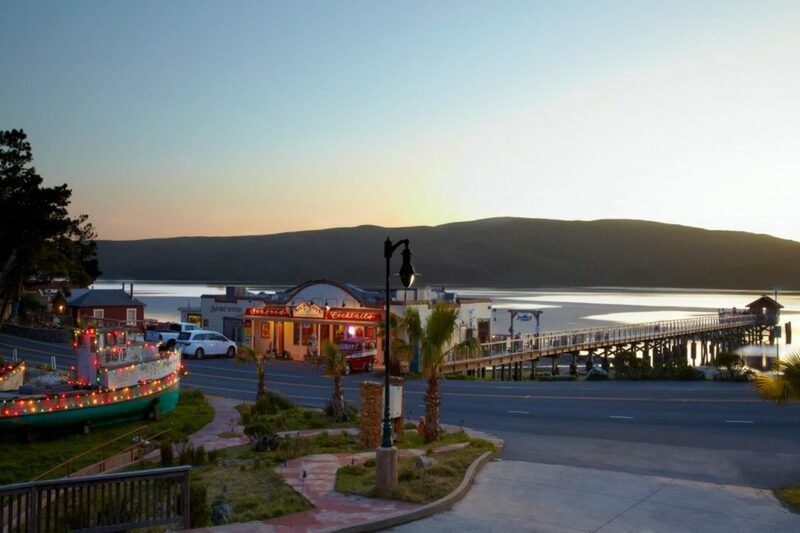 The old-school mahogany bar, complete with sailing antiques, hunting trophies and a sprawling deck, offers plenty of selfie spots - sunset views of the Tomales Bay included. 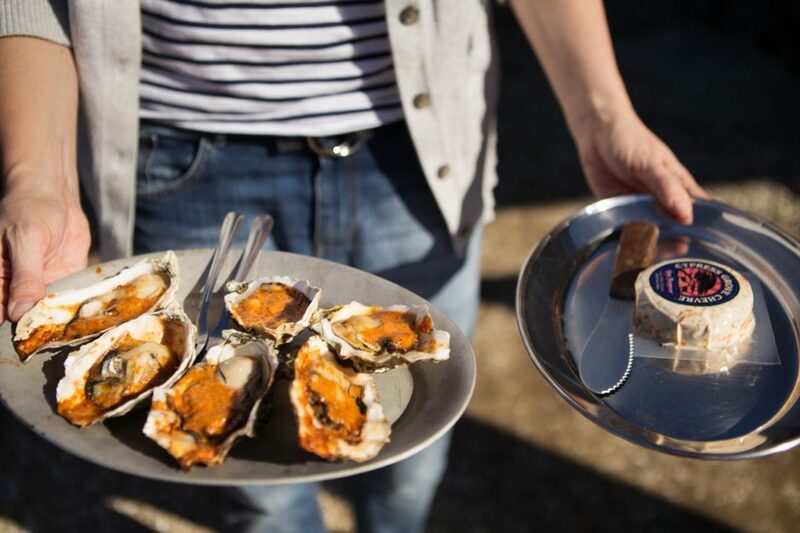 In the summer, nibble on oysters paired with beer at their outdoor raw bar. 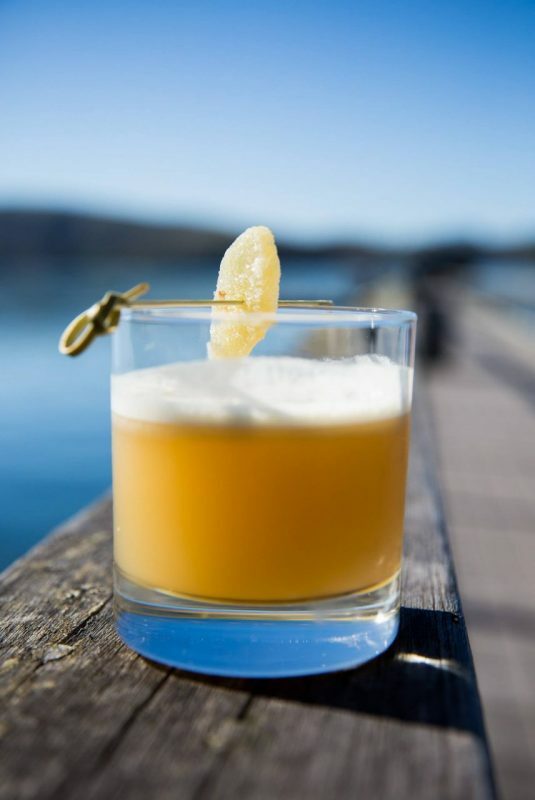 Try the aptly named Sunset Sidecar or a glass of Nick's Cove Merlot. 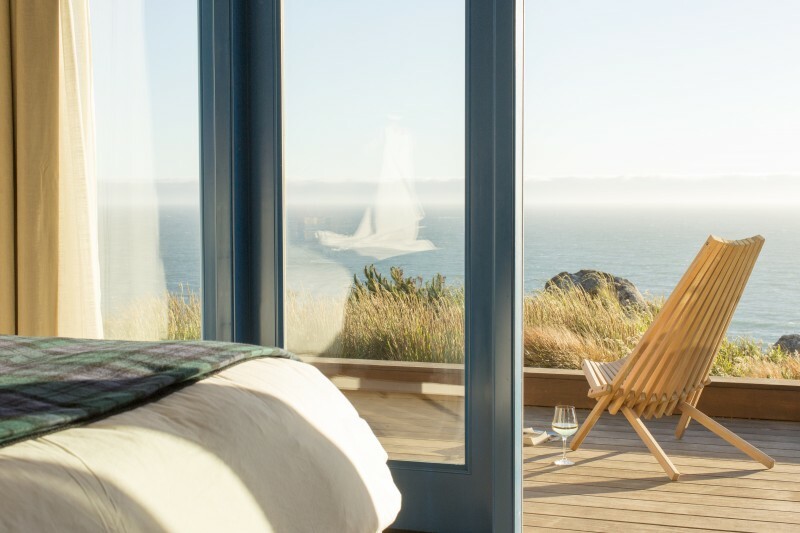 23240 Highway 1, Marshall, (415) 663-1033, nickscove.com. Nick's Cove in Marshall by sunset. 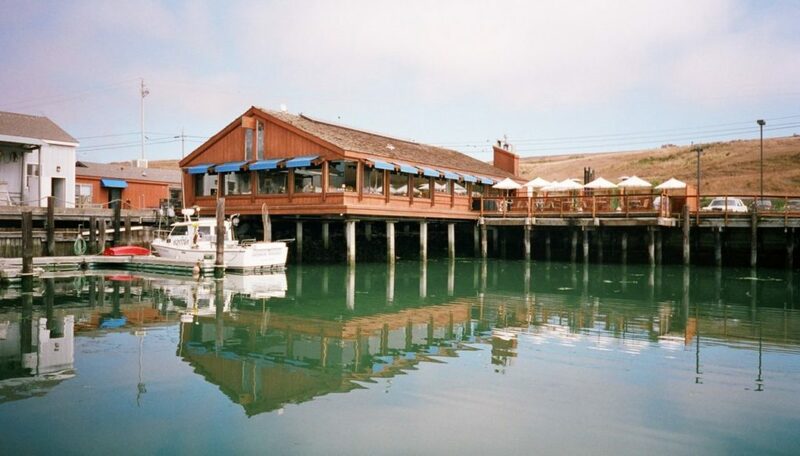 Lucas Wharf: Lucas Wharf has been serving up fish and chips and other fishy foods since 1984 and their restaurant bar has views of Bodega Bay paired with strong drinks and local beers. 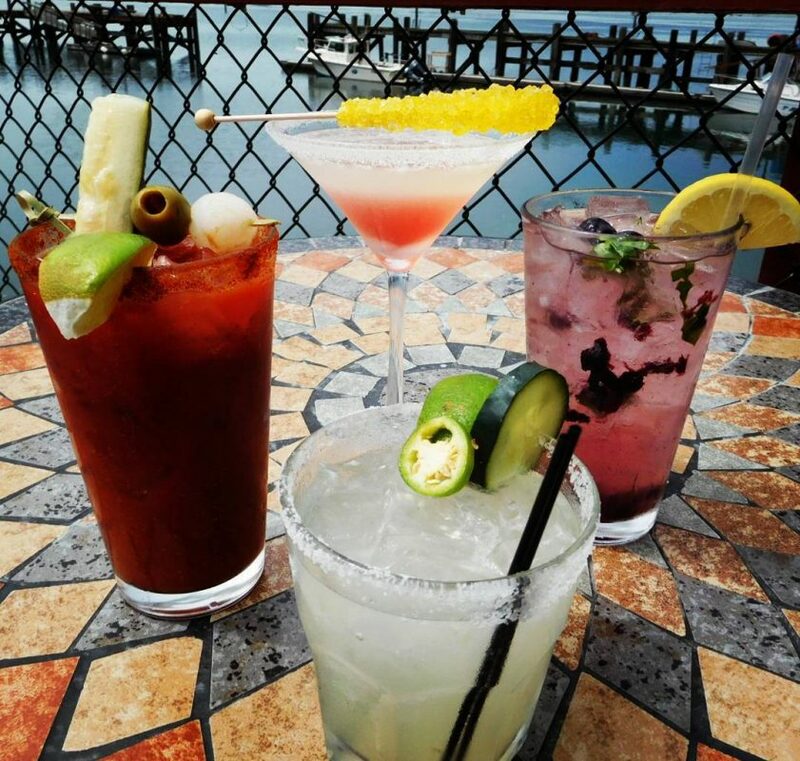 Their Lucas Bloody Mary and Lucas Wharf Blonde Ale make for good starting points to bayside imbibing. The Lucas family is known for their calamari, so make sure to give it a try. If you brought your dog, sit outside on the sunny patio and watch the seagulls. 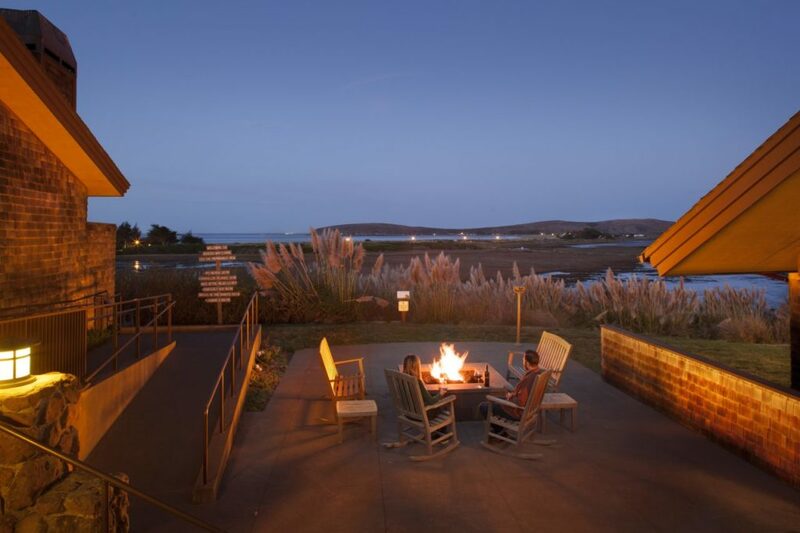 595 Highway 1, Bodega Bay, (707) 875-3522, lucaswharfrestaurant.com. 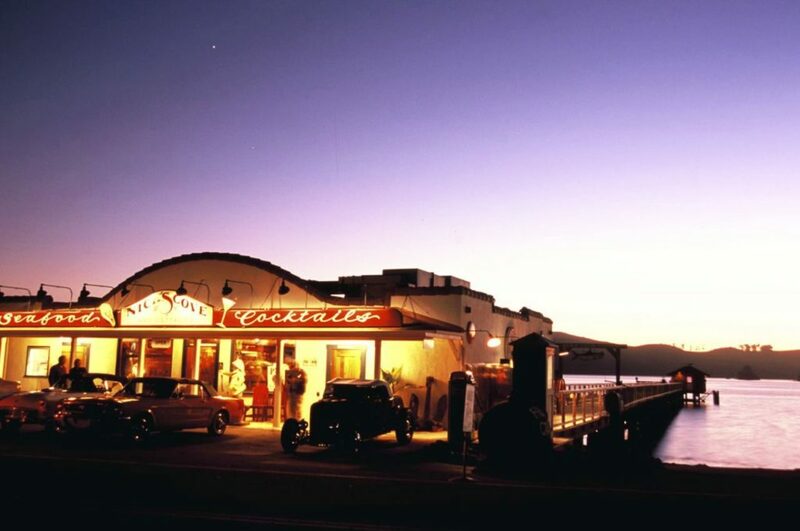 A selection of cocktails at Lucas Wharf in Bodega Bay. 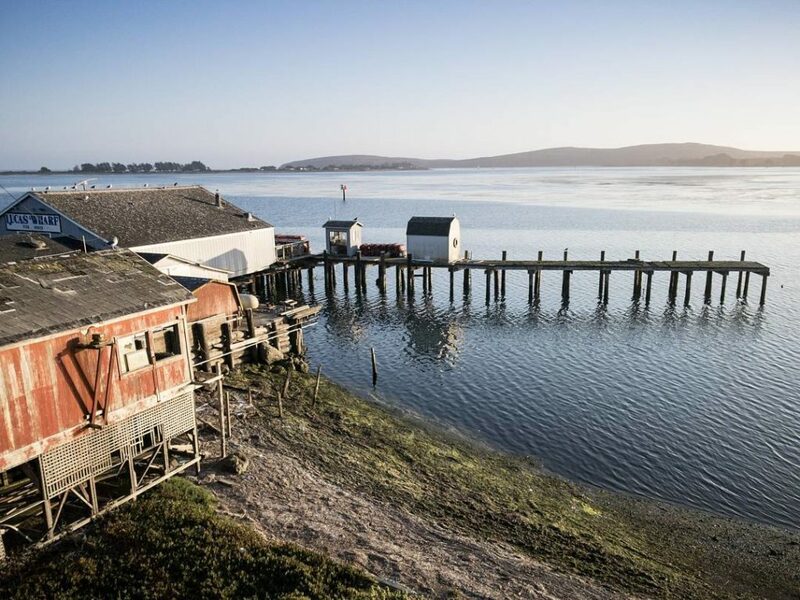 View at Lucas Wharf in Bodega Bay. 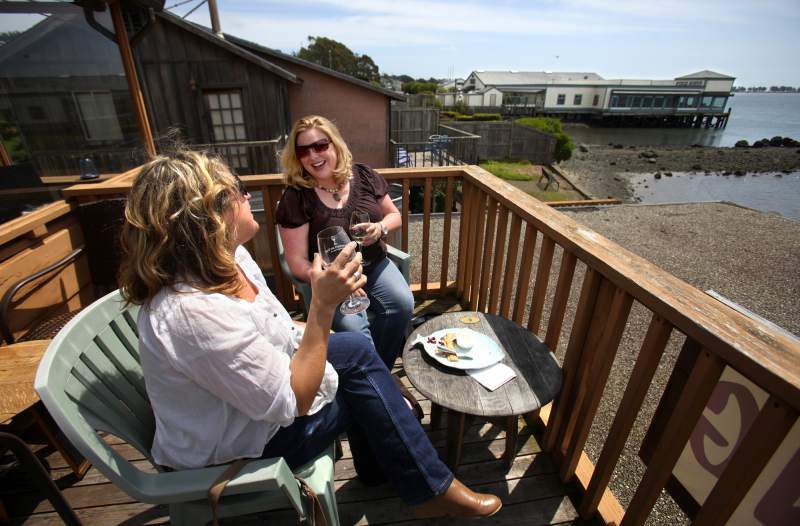 Gourmet Au Bay: Go wine surfing at Gourmet Au Bay, a wine bar located at Bodega Harbor. 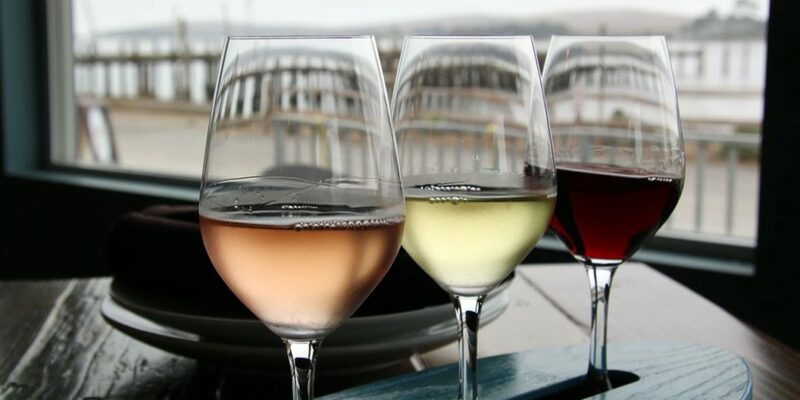 Taste small production wines served on custom made surfboard trays at the bar or outside on the harbor-side patio. 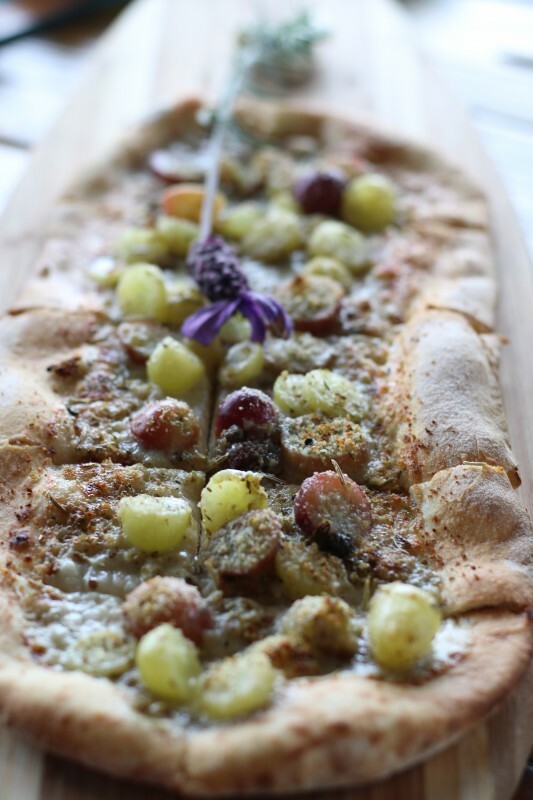 They offer a menu of "coastal wood oven cuisine" using their 900-plus degree oven. Dining Editor Heather Irwin praises their crab cakes and flatbreads. Dogs are welcome, too. Make sure to check out their website for directions - it's hard to find but worth the journey. 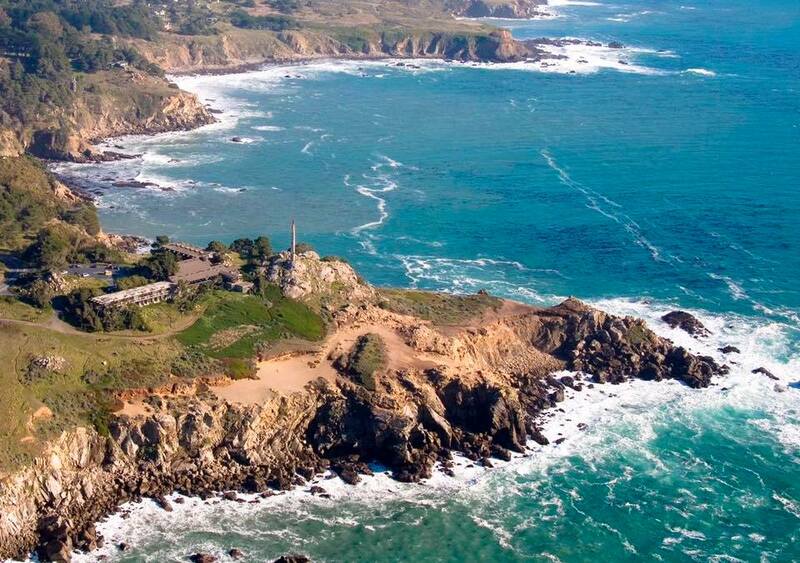 1412 Bay Flat Road, Bodega Bay, (707) 875-9875, gourmetaubay.com. 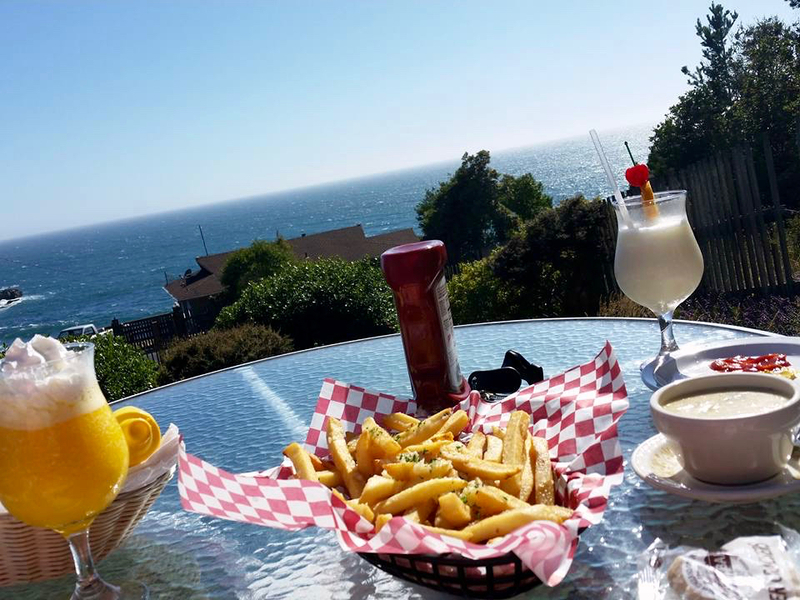 Ocean Cove Bar & Grill: Unpretentious, laid back, and family-owned, the Ocean Cove Bar & Grill offers ocean views from its old school redwood bar. Strong cocktails (get the top shelf margarita) are offered by a seasoned bar staff and plenty of ice cold beer is on tap. 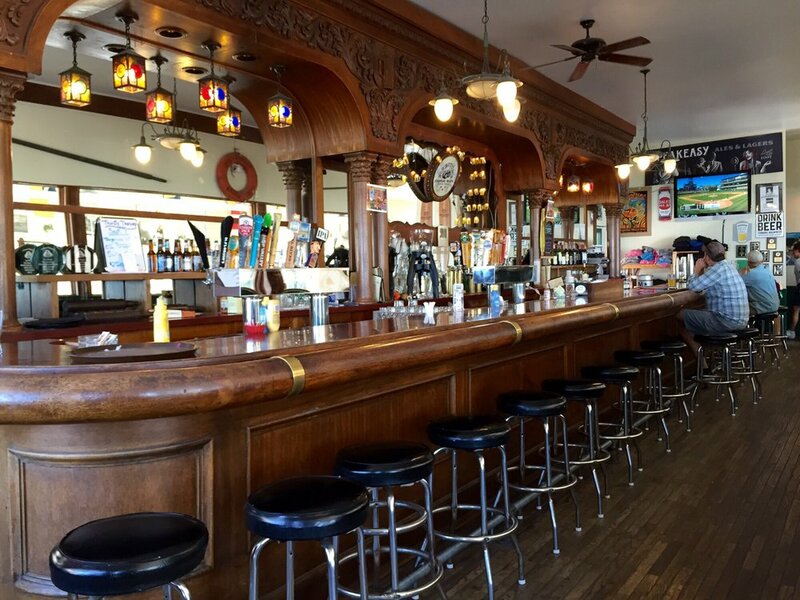 If beverages aren't enough, order the clam chowder, cod po'boy, or whatever the daily fish special may be. And if the bar doesn't satiate enough of your ocean view cravings, stay the night at their hotel and hangout in an ocean view Jacuzzi. 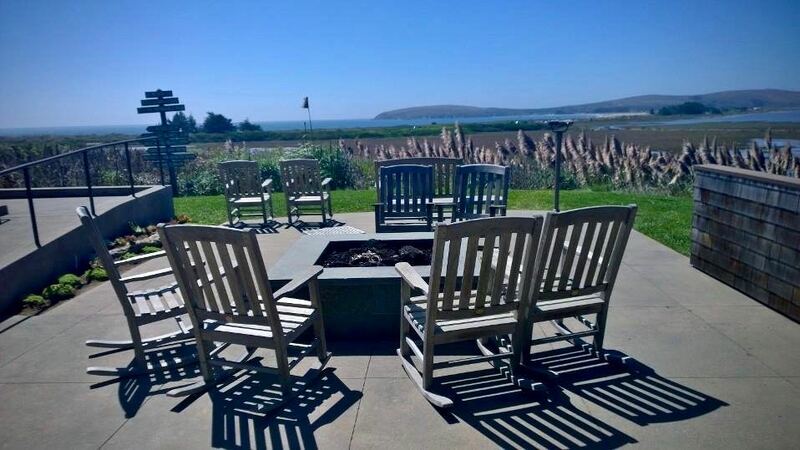 23255 Coast Highway, Jenner, (707) 847-3158, oceancovelodge.com. 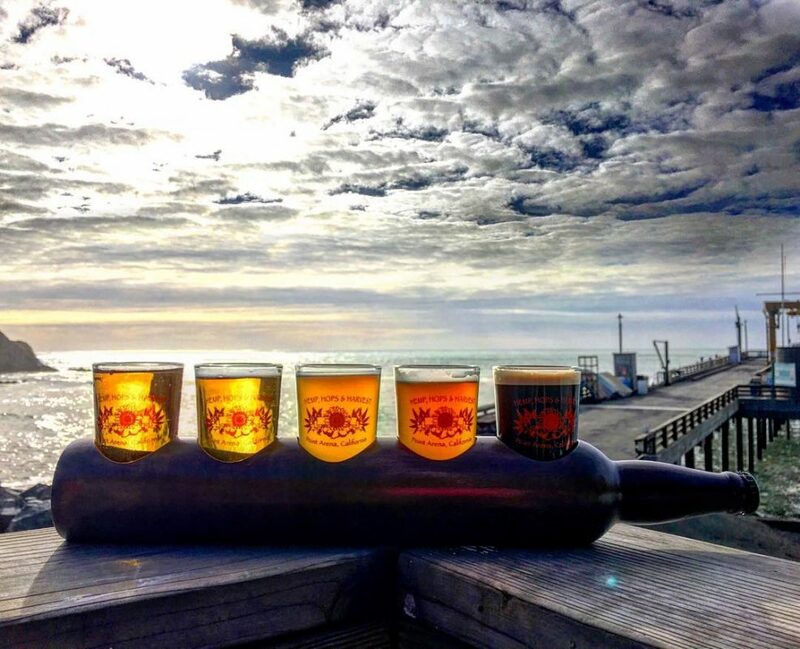 The Pier Chowder House and Tap Room: Located next to Point Arena Pier, the Pier Chowder House and Tap Room's view gives way to surfers on the horizon, who stop at the historic bar and patio to savor one of the over 20 beers on tap (or perhaps a glass of Mendocino County wine). Local seafood is served, delivered daily by fisherman. The house speciality is clam chowder: New England (white) or Manhattan-style (red). Thirsty Thursday is the day to go - from 6-8 p.m. the bar serves $2 pints. 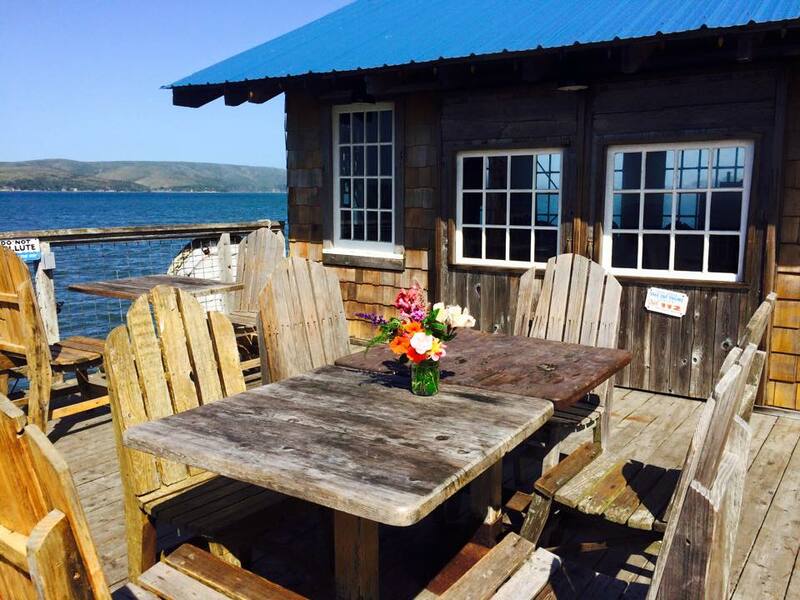 790 Port Rd., Point Arena, (707) 882-3400, thepierchowderhouse.net. 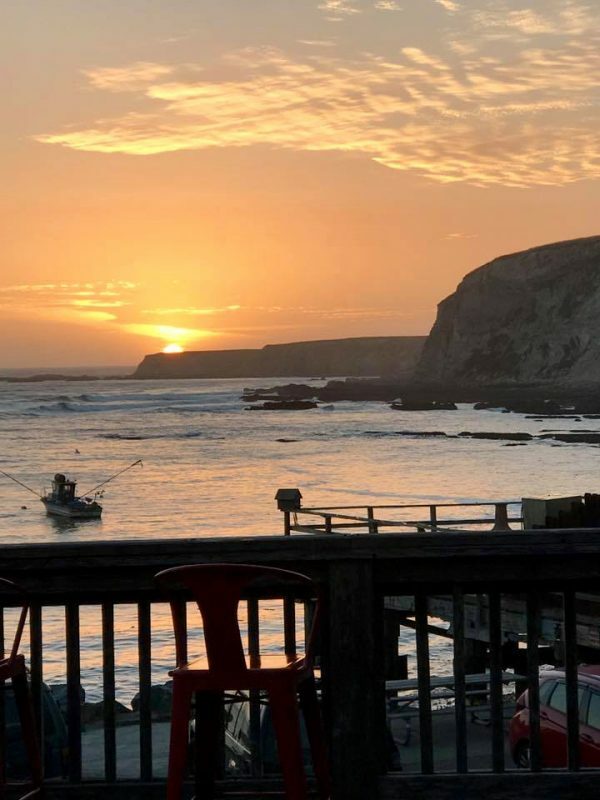 Sunset at The Pier Chowder House and Tap Room in Point Arena. 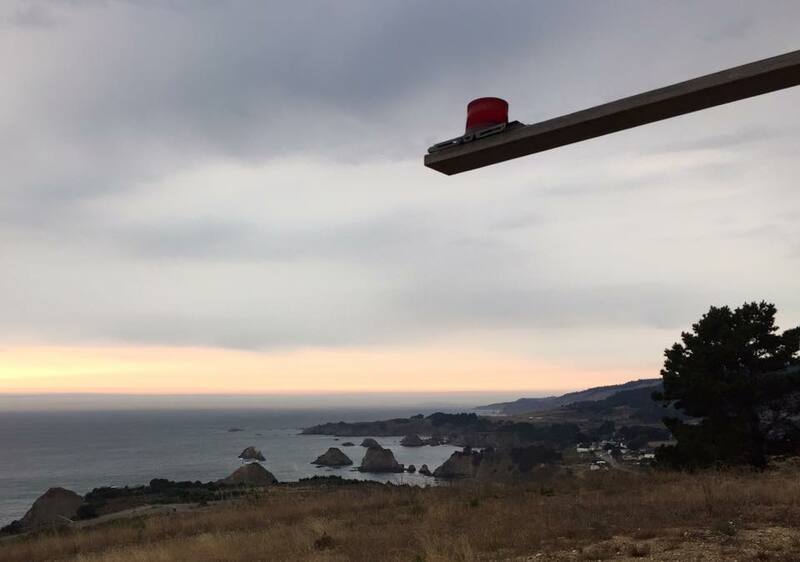 Ole's Whale Watch Bar: We've made it almost to Mendocino and to Little River, where Ole's Whale Watch Bar has earned its name: bartenders keep binoculars behind the bar for whale sightings. 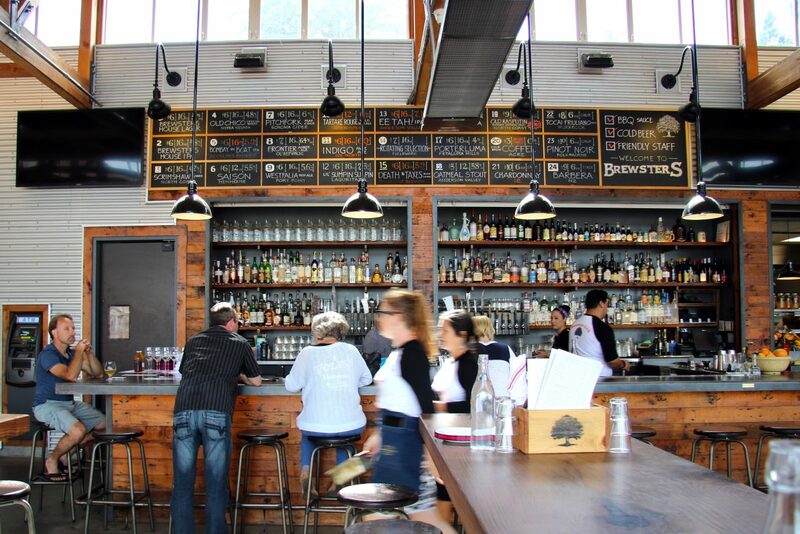 Sip craft beers, Anderson Valley wines and martinis. 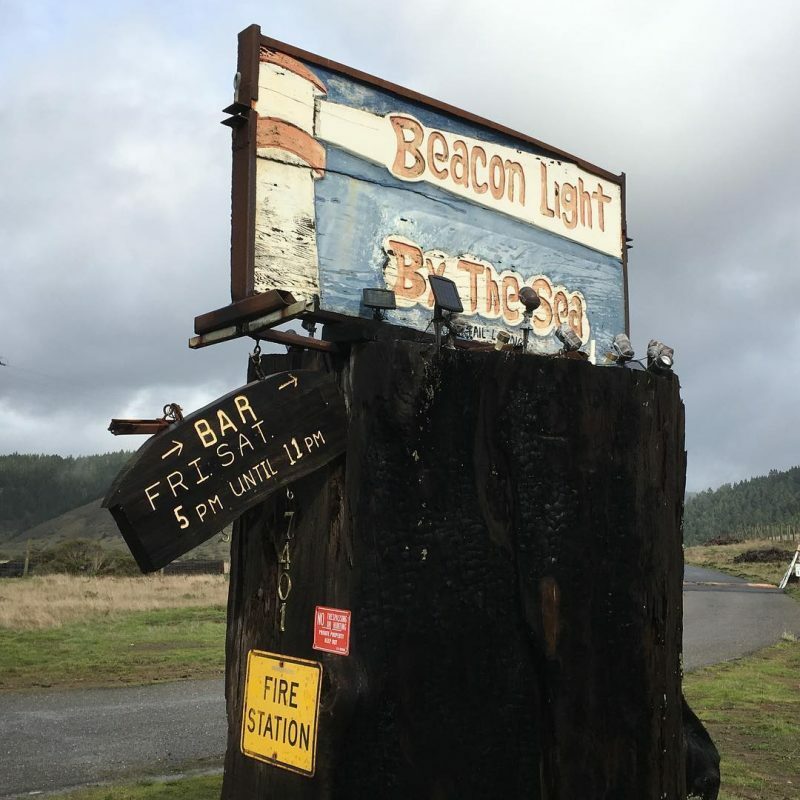 Actor James Dean was once kicked out of the bar and it can still get rowdy, with locals mixing with visitors staying at the Little River Inn, where the bar resides. 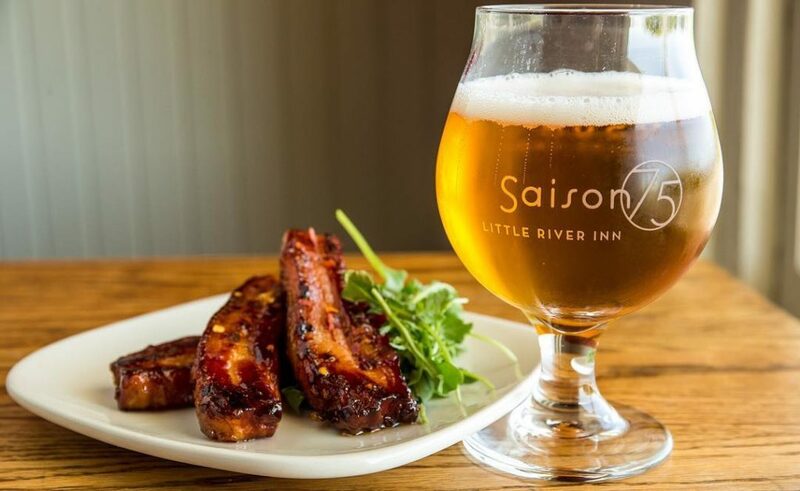 Order a plate of abalone fritters and knock them back with the inn's own saison. 7901 N. Highway One, Little River, (707) 937-5942, littleriverinn.com. Ole's Whale Watch Bar in Little River. 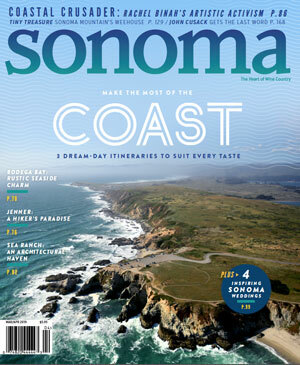 We love any excuse to escape to the coast – from Marin to Mendocino – and of course, Sonoma! 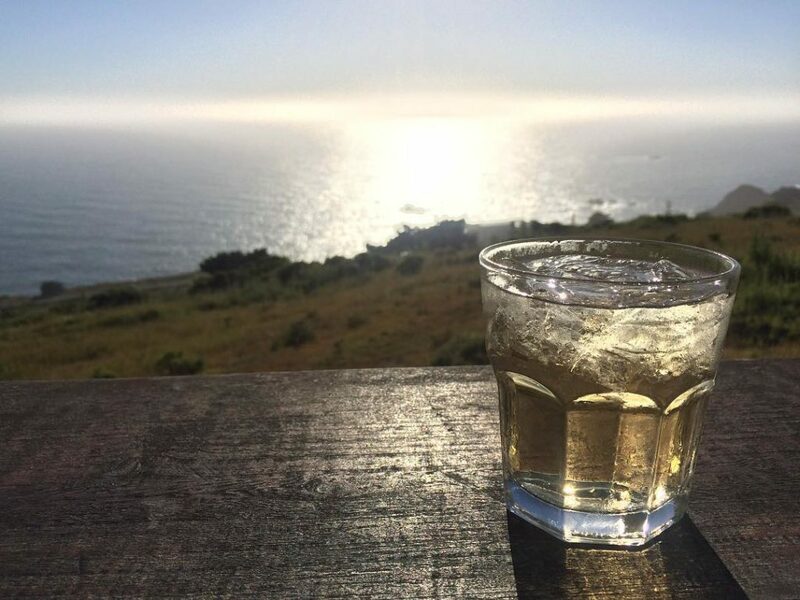 Whether it is to reward ourselves with a local beer after a long day of hiking or biking, or toast to a special occasion as the sun sets, a cocktail with a coastal view never gets old. 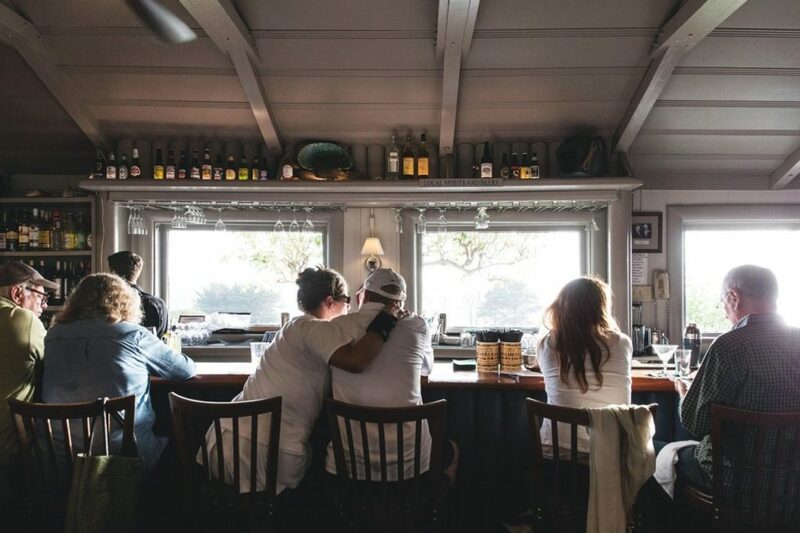 Click through the gallery above to discover our favorite coastal bars.